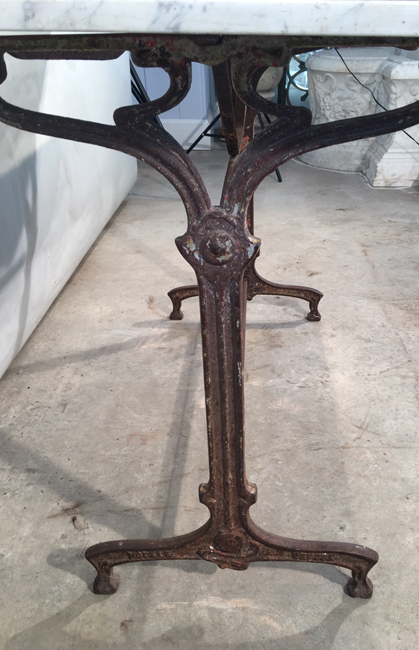 Yes, we are suckers for authentic French Art Nouveau table bases and this one does not disappoint. 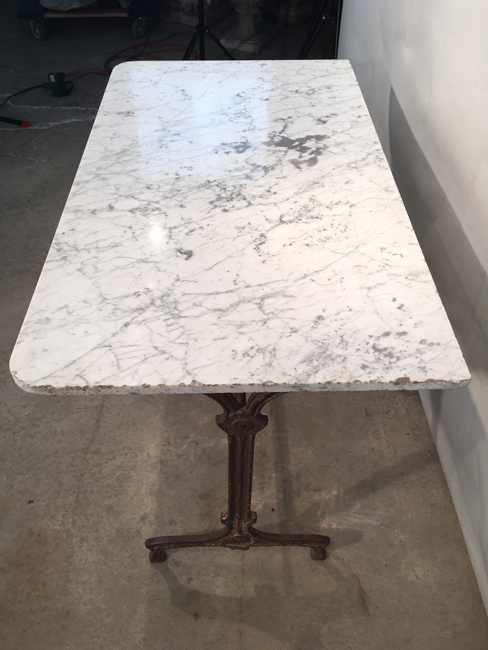 Sporting an old, rusty surface, the base is topped with an antique piece of white cararra marble with beautiful grey veining. 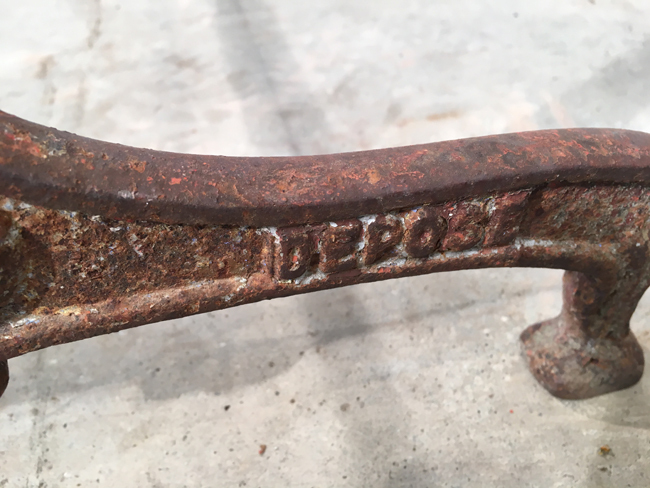 Signed on the base "Modele Depose", it is truly a versatile piece. Use as a side table, serving table or writing table, indoors or out. These tables also make wonderful additions to a hallway or bathroom to hold towels and the like. Please note that the marble top is finished on 3 edges only, so is best placed against a wall.